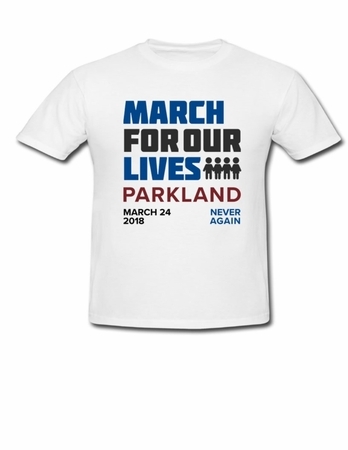 The mission of March For Our Lives � Parkland is to support the national movement and march in Washington, D.C. while healing our devastated community through action. We march for our right to life, liberty and the pursuit of happiness. Parkland has shown its resilience during this unimaginable tragedy, as we lean on one another and begin to rebuild. We demand action � NOW. All proceeds will go toward initiatives supporting commonsense gun laws, education and safety reforms in our community.